You’re listening to ReachMD. The following program is brought to you by the National Osteoporosis Foundation and the International Society for Clinical Densitometry. To learn more about the programs and services offered, please visit NOF.org or ISCD.org. It is estimated that 54 million Americans over the age of 50 are affected by osteoporosis and low bone mass making them at higher risk for fractures. Yet, many healthcare providers and patients ignore the risk factors and don’t receive any followup care after breaking a bone. In fact, new evidence is emerging that the 30-year downward trend in hip fractures in the U.S. has hit a plateau in the last few years, indicating that the field, as a whole, must take action to aggressively reduce fracture risk in our aging population. I am your host, Dr. Matt Birnholz, and I would like to welcome my guests, Dr. John Carey, President of the International Society for Clinical Densitometry and Dr. Susan Greenspan, Vice President of the National Osteoporosis Foundation. Drs. Carey and Greenspan, we appreciate you being here to share your insights on diagnosing and treating osteoporosis and reducing fractures. Welcome to you both. Dr. Greenspan, let me start with you. Who is typically at risk for osteoporosis? There are a variety of factors, both controllable and uncontrollable, that put a patient at risk for developing osteoporosis. Uncontrollable risk factors include: age over 50, being a woman, early menopause, having a family history of osteoporosis, low body weight, being small and thin, and having a broken bone or height loss. There are also controllable risk factors that include: not getting enough calcium and vitamin D, getting too much protein, sodium and caffeine, having an inactive lifestyle, smoking, drinking too much alcohol, losing weight, and there are multiple medications including glucocorticoids, some medicines for seizures, too much thyroid hormone, proton pump inhibitors for heartburn and some medication for cancer prevention. Approximately 10 million Americans have osteoporosis or are at greater risk for fracture. In fact, a woman’s risk of breaking a hip due to osteoporosis is equal to her risk of breast, ovarian and uterine cancer combined. And a man, age 50 or older, is more likely to break a bone due to osteoporosis than he is to get prostate cancer. Numerous studies have shown a failure to diagnose and treat osteoporosis, even in patients who have sustained a fracture. The gap between what is known about bone health and the application of that knowledge to patient care remains very large. So, Dr. Carey, going forward with what Dr. Greenspan helped to discuss here, what is the best way to measure whether someone has or is at risk for osteoporosis? Risk is not the same as diagnosis. The first thing we try to do is assess who is at risk. Using some of the information that Dr. Greenspan has given us, it enables clinicians to think about populations or groups of people who may be more likely to develop osteoporosis. There are a variety of ways to do this. One is to use your clinical judgment and take a good history and physical. The other is to use guidelines and risk-assessment tools. There are many risk-assessment tools available, but probably the most utilized is something called FRAX and this includes risk factors like family history, patient’s height and weight, age, and history of some other conditions including rheumatoid arthritis, smoking, and glucocorticoid use. And incorporates them and gives people a 10-year risk score. The advantage of this is that it takes a few of the most important risk factors and gives people a number. Disadvantages are it’s hard to know how that number applies to an individual because you are looking at an average number rather than an absolute number. But it at least gives people some idea of whether someone is at risk and some of the things they may need to think about. Not all risk factors, such as a propensity to fall or someone who has a history of multiple falls or a medical condition that results in multiple falls, are included in this FRAX calculator. The gold standard for making a diagnosis of osteoporosis per ISCD is the presence of a fragility fracture. That is a fracture that occurs in a person from a force that wouldn’t be expected to break a bone in a healthy person, or we can also diagnosis osteoporosis using DXA scans. A DXA is an x-ray test that uses a very low amount of radiation to take a picture and using a computer algorithm also gives you a number. The number can be used then to calculate a T-score which compares you to young, healthy people. And a T-score of -2.5 or less would be considered osteoporotic of the spine or hip. The image can also be used to look for fractures in the spine. Now, there are other techniques available to measure bone mineral density and they include peripheral ultrasound, but they can only identify people at risk. For every standard deviation decrease, you would be twice as likely to develop a fracture, but they can’t be used for diagnosis. Quantitative tomography or what’s known as CT scans can also be used to diagnose osteoporosis, per the latest ISCD positions, and give a similar risk and a similar diagnostic threshold to the central DXA. Peripheral DXA can also be used but only for risk assessment. So, by combining various clinical risk factors, having an understanding of the populations that might be at risk and measurements using DXA, ultrasound or CT, we get a much better idea of an individual’s risk, or perhaps, diagnose them as having osteoporosis. And with these diagnostic factors understood, Dr. Greenspan, let me turn to you again. Once someone has been diagnosed with osteoporosis or an osteoporotic fracture, what are the treatments currently available for patients, and are there any new therapies in the pipeline? That’s a great question because we do have multiple medication for treatment and prevention of osteoporosis. There are two major categories for osteoporosis treatment. 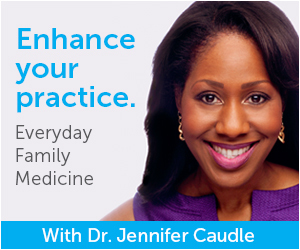 One includes antiresorptive medicine. So, these are medications that prevent bone loss. We have anabolic medications, we call these bone builders, and they increase bone formation. If we look first at the antiresorptive medicine, so these are medicines preventing bone loss, the group that is the primary therapy that we often use, or the mainstay of therapy are medicines called bisphosphonates. Some of these are oral, some of these are IV and they include medicines like alendronate, risedronate, ibandronate and zoledronic acid. There is also a medicine called a RANK ligand inhibitor, which is an antibody to one of the cells that causes bone loss called denosumab. And then we have medications that are related to hormones, or even hormone therapy, that can prevent osteoporosis. We have estrogen agonist antagonists, for osteoporosis prevention and treatment. One of these is raloxifene. We have another medicine in a group called “tissue selective estrogen complex” which is a combination of conjugated estrogen with an estrogen agonist antagonist. And, finally, there is a bone hormone called calcitonin. So, we have multiple medications to prevent that bone loss. On the flipside, we also have anabolic medicines that build up bone. We currently have 2 available, one is parathyroid hormone analog, also known as teriparatide, and we have a new one, parathyroid hormone-related peptide analog, abaloparatide. Currently, these are given by a subcutaneous daily injection that the patient may give to themselves. The important thing about determining what medication is best for the patient goes back to the risk factors that we have talked about. Does the patient have a kidney problem, heartburn, hot flashes? Are they able or willing to take an oral medicine or an IV? This is a conversation with the patient and is really centered on what will work out best in terms of the patient’s overall healthcare and health plan. And, finally, we do have another medicine on the horizon called a sclerostin inhibitor, romosozumab, which is given as a monthly injection and that may be available down the road. Now, despite these effective treatments, which have been proven to reduce fractures on the order of 30 to 50%, unfortunately, about 80% of patients who actually have a fracture don’t get further evaluation and don’t get osteoporosis medicines. Today we have a better understanding of the causes and impact of osteoporosis than ever before. We really have to put our knowledge to work and develop further scientific advances in both the detection and treatment and getting our patients on these medications to end the suffering from this debilitating condition. Now, Dr. Carey, stemming from what Dr. Greenspan just talked about with regard to stepping up to help patients, what are some of the challenges that physicians face now in helping patients who are struggling with fragility fractures and osteoporosis? The first thing, as Dr. Greenspan said, is making the diagnosis. Patients are diagnosed with a fracture, but they are not diagnosed with their underlying osteoporosis. So, the first step is making sure the patient’s diagnosed with osteoporosis. If we do that, a cascade of events will result for many patients which will reduce the risk of future fracture, including lifestyle changes, further testing, more information, hopefully, medication and other appropriate interventions. That is a big problem and we know from American and Canadian data that was presented at ASBMR last year, less than 20% of people over 65 who present a fragility fracture over the last decades in Canada and America are diagnosed with osteoporosis. An even smaller number are then referred on for a DXA test, which would be helpful for assessing the prognosis and monitoring their treatment. The next thing that comes up high on the agenda is understanding for patients what the risk-benefit is. A lot of patients have been made very aware of potential risks of medications, but they have not been made aware of the risks of not getting appropriate treatments. 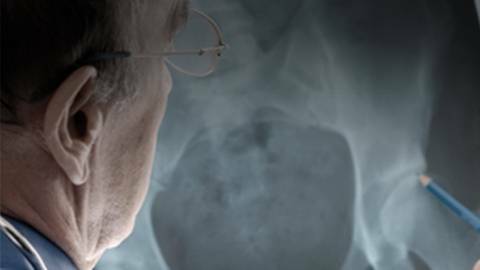 For health professionals who are talking to their patients, if an older person has a hip fracture today in North America or Europe, approximately 1 in 5 of those will die within the year following their hip fracture. In the U.S. Medicare population, half of the people who have a spine fracture, are dead within 3 years, two-thirds are dead within 5 years and only 10% survive 5 years. The mortality is more than twice as high as those who have never had a spine fracture after adjusting for everything else. These fractures, just these 2 groups themselves, have a very poor prognosis and a high morbidity and a high mortality. The benefits of treatment is that reduces the risk of future fracture. The risks or potential risks of treatment, which are so small it is hard to get accurate measurement on them from studies, have been overstated and a great hype and hyperbole has been portrayed in the media when the real problem is the osteoporotic fractures and the morbidity and mortality associated with these fractures. Another issue, unfortunately, that comes up, and this has become into the limelight very recently because of National Guidelines from the American College of Physicians, that patients don’t need to be monitored for their treatment and, unfortunately, that’s just not true. The Standard of Care in North America and in Europe and around the world for many years has been to monitor these patients, and that involves several things: talking to patients to make sure they understand what they are doing, and how they are doing it, and to make sure they are not having problems with their treatment and being followed up. It also involves additional tests such as height measurement and bone mineral density measurement to make sure the treatment is doing what we hope it’s supposed to be doing. People of high blood pressure, people would not abandon blood pressure measurements to see if their blood pressure treatment is working. If people have high cholesterol, they get a cholesterol recheck to make sure their treatment is working. And the same way when people have a high-risk disease and a severe disease like osteoporosis, they also need to be monitored for their treatment. In some centers and some settings, additional testing may be required or may be available, such as bone markers, 24 urine calciums, or complex testing. And then, the last thing that this requires, and is a barrier for many patients, is access to quality testing. And for monitoring patients on treatment or getting patients on treatment, sometimes there is an understanding that osteoporosis is measured and diagnosed only by DXA scans, so some patients who have fragility fractures have a false negative DXA. That means their bone density is not at the osteoporosis threshold by the test, but they already have the disease because they have the fragility fractures. And some patients, unfortunately, are unable to access treatment are told they don’t have osteoporosis because it didn’t show up on their DXA scan. In reality, that’s a false negative DXA test. If people have fragility fractures, they have fragile bones and they need to do something about that. So, denying patients access to treatment or monitoring because their T-score doesn’t meet an arbitrary value, in that population is not appropriate. Dr. Greenspan, what resources are available for clinicians and patients to learn more about osteoporosis prevention and treatment? The National Osteoporosis Foundation has many resources for patients and clinicians, Going to the NOF website, www.NOF.org, includes a patient pathway to help their patients to the information most critical for them, and there is also a section on preventing fractures and a micro site for healthcare professionals called, “Bone Source.” In addition, the NOF has an annual clinical conference called the Interdisciplinary Symposium on Osteoporosis, or ISO, and that provides the most current, clinically-relevant, and evidence-based information on the prevention, diagnosis, and treatment of osteoporosis. Coming up, it will be held May 16-19, 2018, in New Orleans and more information can be found at the NOF website. The NOF also has the Clinicians Guide to Prevention and Treatment of Osteoporosis, and this helps inform clinical decision making to help manage the diagnosis and treatment of men and women who are at high risk for fracture. 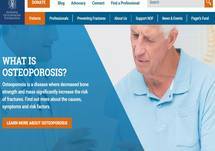 It is available on the Bone Source website and, in addition, the NOF published the guide in Osteoporosis International which is a journal that individuals can get. An update to the guide is currently under development. The NOF also has a professional membership which has additional resources for clinicians with the access to patient education materials, the osteoporosis International Journal and 3 CME opportunities. Dr. Carey, how does ISCD help physicians and technologists improve patient care? 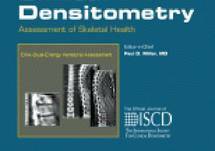 The International Society for Clinical Densitometry is a professional society of doctors, radiographers, nurses and other health professionals from around the world whose mission is to achieve excellence in skeletal health. We work with organizations like the NOF, ASBMR, International Osteoporosis Foundation, to promote best practice, education and quality densitometry around the world. Through the society, we built a network of excellence and we hold education courses around the world. They are in 2 main forms, we have an annual meeting, usually in North America, but we have had one in Ireland. And we also have courses. 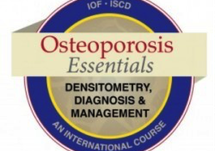 There is a twelve-hour course called Osteoporosis Essentials, which teaches health professionals the basics about bone densitometry. There is another one called Body Composition. There is a Vertebral Fracture assessment course and there is also a pediatric course. There is also certification examinations which include questions, not just related to the course, but also about osteoporosis in general, and that is a recognized international certification in densitometry. In addition, the society also develops official positions in collaboration with colleagues and other organizations like the NOF, basically to find the best available evidence, expert opinion and best practice for how bone densitometry should be performed, who it should be performed on, when it should be done and how to distinguish a good quality DXA, CT or ultrasound scan versus a bad quality. We also develop positions on new technologies as they become available, such as the trabecular bone score, which helps assess fracture risk and some of the other bone geometry tests, and new developments that have occurred in our field. We have a website, www.ISCD.org, which provides information for health professionals and patients alike, educational resources and a networking opportunity for members and certification registry is also up there. 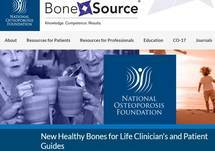 In addition to that, we also have links to other resources like the excellent resources provided by the NOF and other professional bone organizations. We are hosting our upcoming annual meeting in Boston, Massachusetts from the 28th of February to the 3rd of March, 2018. We will be providing education for American and international colleagues from all over the world and we look forward to seeing people there. Well, with that, I very much want to thank my guests, Dr. John Carey, President of the International Society for Clinical Densitometry and Dr. Susan Greenspan, Vice President of the National Osteoporosis Foundation, for joining me today to discuss osteoporosis and bone health for our ReachMD audience. Doctors, it was great having you with us. Drs. John Carey and Susan Greenspan share updated methods for diagnosing osteoporosis and reducing fracture risk in our aging population. It is estimated that 54 million Americans over the age of 50 are affected by osteoporosis and low-density bone mass, putting them at higher risk for fractures. Additionally, new evidence is emerging that the 30-year downward trend in hip fractures has hit a plateau recently, indicating that the field, as a whole, must take action to aggressively reduce this danger in our aging population. Dr. John Carey, President of the International Society for Clinical Densitometry, and Dr. Susan Greenspan, Vice President of the National Osteoporosis Foundation, speak with host Dr. Matt Birnholz about diagnostic and treatment priorities for osteoporosis to help reduce fractures.